Note the presence of multiple colors within this melanoma lesion. It is referred to as "patriotic cancer" because it is typically colored red, white, blue/black. 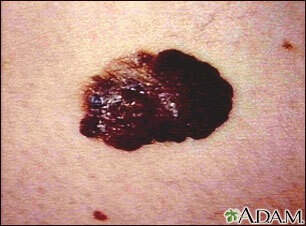 This is a common appearance for a melanoma.